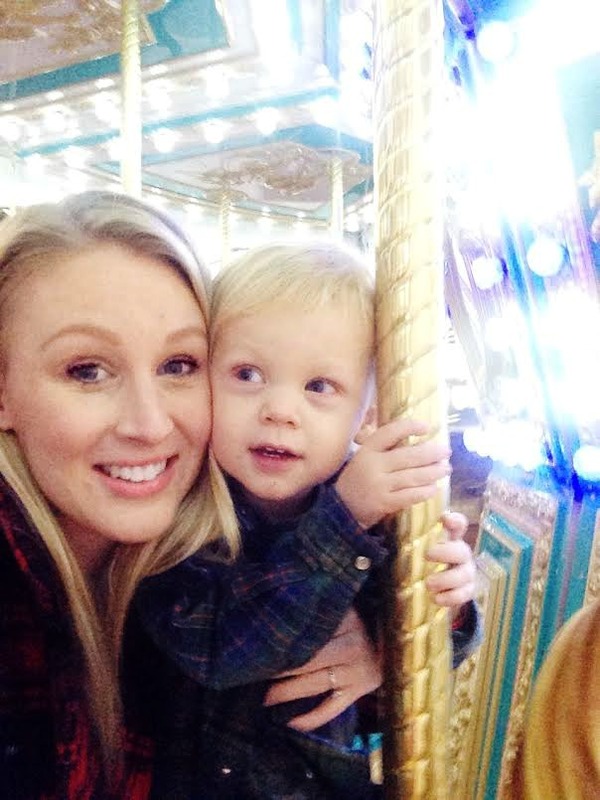 Cassie & Company: On Mothering: Loneliness in motherhood and being INTENTIONAL about fixing it! On Mothering: Loneliness in motherhood and being INTENTIONAL about fixing it! I expected and anticipated to feel a lot of things when I became a mom. I expected to love my baby more than life itself, I expected to be in awe of seeing my husband become a dad, I expected to be tired, I expected to feel overwhelmed at times, and I expected to feel so fulfilled in the role of a mother. All of the above came true just like I thought, the roller-coaster of emotions that is motherhood included everything I expected to feel and more. Something I didn't expect to feel was lonely. I thought it would be the opposite. How can you feel lonely if you are constantly with another little human? The days can be monotonous and long, my parents and in-laws live very far away (until recently), I don't have any friends with babies that live here in Provo and my husband works two jobs, long night shifts and sleeps and goes to school during the day. It can be lonely. I try to get out of the house and run errands or do something fun for Everett, I feel desperate calling my siblings (who are partying and living the college life) hoping they need something at Costco, just for the company! I sometimes literally count down the minutes until Ben gets home and they can go by soooo slow. I need to clarify and instill this though: I love being a mom. So many times during the day I will look at Everett and his cheeks will be droopy while he is concentrating, or he will make the cutest surprised face and my heart wants to burst and I don't care at all that on most days I have no social life or adult interaction. I love being a mom, and this post is not meant to be me complaining or telling you I am depressed, I just am just trying to be honest. I know I am not the only mom who feels this way at times. The other day a close friend and her baby came over for an hour or so while they were in the area. Everett was napping so we just caught up and chatted for a bit. Talked about our kids and our husbands and our TV shows and how amazing being a mom is and how freaking hard it is and how our husbands just don't get it sometimes! It was only an hour and she left but I couldn't get over how refreshed I felt, how un-lonely I felt. Sometimes you just need to talk to another female, in the same life stage as you. I have felt this way before after a fun girls night out or even a half-hour alone at the mall. Refreshed! So the point of this post it 'So what am I gonna do about it already?" Well first of all I'm going to realize that this is a sacred season of life I am in. I am going to be a mom to young children for a while and then it will be gone. I am going to enjoy the time I am in now, the time where I am a provider, a comfort, a best friend to my child. I will get my alone time and girls nights and social life occasionally, but I know that in this season that it is not the most important thing. I want to enjoy these moments playing hide and seek for an hour straight or wandering the toy store on a night it's just us two. Although, loneliness may be in the back of my mind, this is a really really good and the best sacrifice I can make. Secondly I am going to be more INTENTIONAL about it. Intentional about leaving the house. Even if I have no desire to actually get out of our PJ's and go get in the freezing car, or interrupt this episode of Mickey Mouse, we are going to library story time gosh dangit! Because Everett and I are always happier after we get out and about around other humans. Intentional about making new mom friends. I struggle with this one, why is it so hard to make friends as an adult? So many times I will see a mom at church or at the library and think 'I totally would get along with her, I want to be her friend' and then do absolutely nothing about it. The other day I met a mom at church and we small talked about our kids/apartments/husbands/greys anatomy etc. and then she said we should get together sometime and got my number and we scheduled a play date for this week, which I am totally looking forward to! It was that easy, I think most of us moms just all want to be friends and get together and have play dates, we're all thinking it but thank goodness this lovely mom did something about it. I have a new friend! I want to do that, I'm going to do that! So the next time I am sitting at the park and I overhear moms talking about Gilmore Girls and know we could be friends, I'm going to be intentional and I'm going to make conversation, get their numbers and talk about Luke Danes and baby bums and stuff! "do you want to come to my (kids) birthday party?" Breastfeeding in Public, and that time I got called out. 24/7 Mom, it is our job to entertain our child every minute of the day? I have been creeping on your blog for a while now. It is crazy because I have no idea how I stumbled upon it, but I actually know Jordan. Anyways, I have been thinking a lot about this lately... Motherhood is lonely and I am the worst at making an effort, but I think you inspired me. I know you don't know me, but thanks for blogging about this - I needed it. Love this. Its so true! You have to make your life NOT lonely. The best thing is, if you make it a habit of getting out and doing things, then when Everett is 3, he'll be like, "where are we going today mom?" and you'll have to go somewhere! Your kids keep you accountable too! Well said, girl. Keep it up!